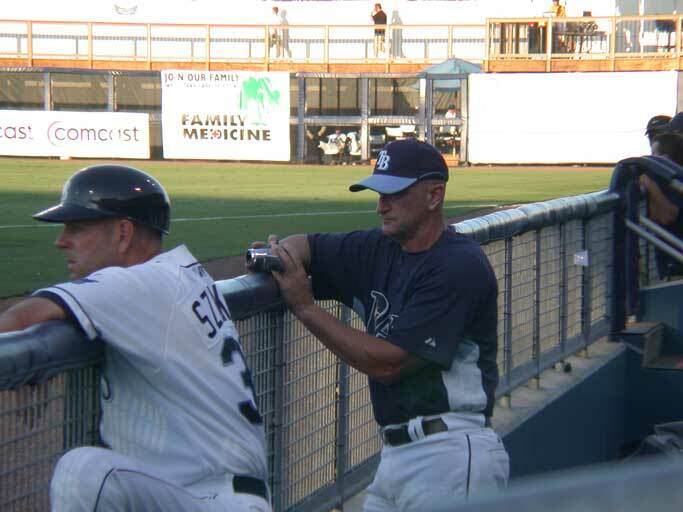 Batting coach Joe Szekely and Tampa Bay Rays scout Steve Livesey watch the game. Joe is mentoring a fine group of players. Steve is the son of “Super Scout” Bill Livesey. Like his father, Steve knows talent and the Crabs players are lucky to have him here watching their games. Steve’s father Bill has signed great talent like Derek Jeter and others. Perhaps the next Jeter will be found in Port Charlotte.